Our Blue Front Door: My where abouts? Our month started with my hubby's 25th high school class reunion. He was feeling nostalgic and wanted me to get some pictures in front of his old high school. We had a great time catching up with everyone. 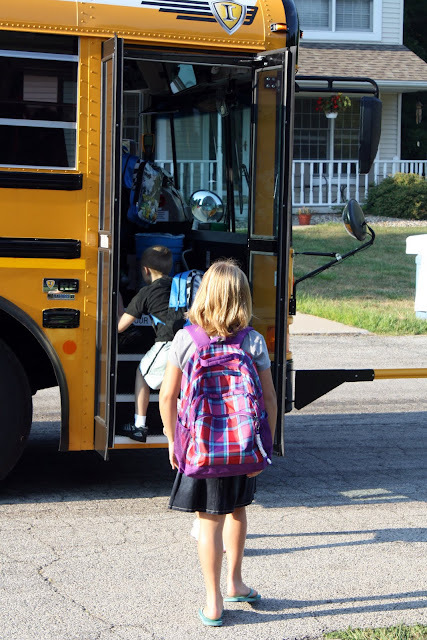 First day of school and she wouldn't even let me get a good picture of her. They leave home and don't even look back at you...makes me want to cry. My 7th grader ran to the bus stop and pleaded with me to not take pictures because I was embarassing her, please mom!! Labor Day weekend, a long road trip to Colorado Springs for one of our best friends wedding and hubby was in the wedding too. It was a 30 hour round trip for us and most of the drive was through Kansas. You know it's an adventure when the GPS says in 508 miles you'll reach the Colorado boarder, uhg! 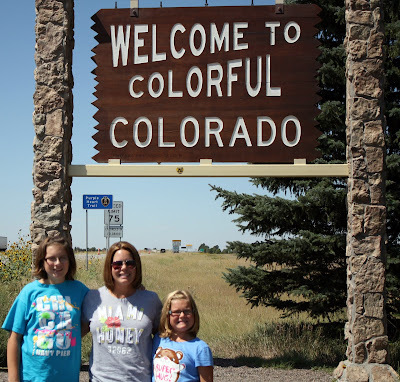 We had a lot of family bonding time and it was the first time the girls had ever seen the mountains, especially since we are from the midwest. All we ever see is corn fields so a change of scenery was great. Garden of the Gods! With the limited time we had because of the wedding we drove through the Garden and stopped to walk some of the trails. We all were in awe of God's work. It is simply beautiful. We didn't make it up to Pikes Peak, but we enjoyed the view from our hotel. Maybe next time! Doesn't my hubby clean up well? I know I am little biased......the wedding was gorgeous and the reception was a blast too. The girls danced and danced until they were plain tired. 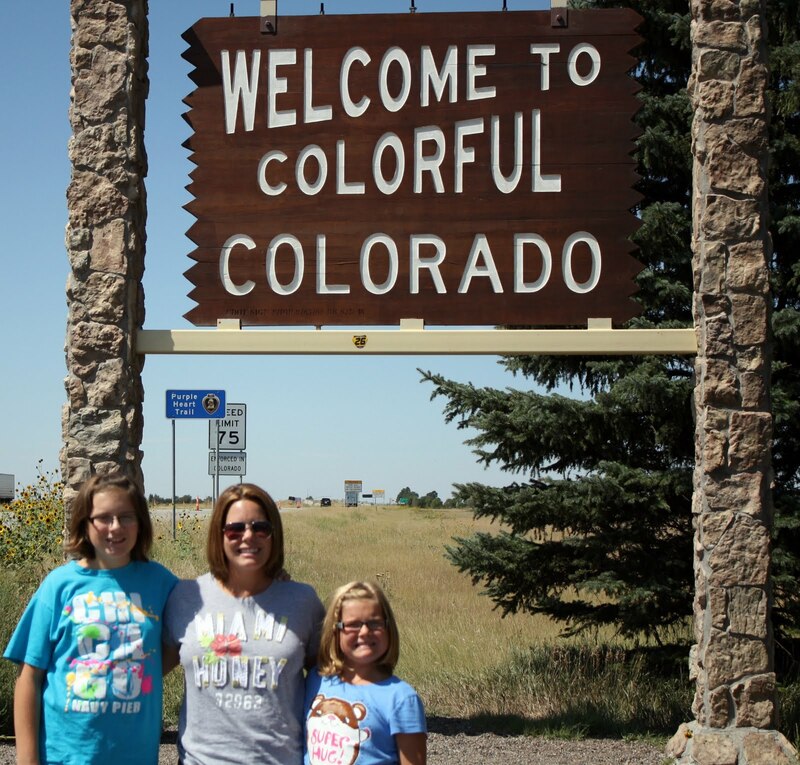 Our trip was short, but we took in as much of Colorado as we could. Adorable dress Andrea!!! You guys look like you have been busy. Glad you are back, I've missed you! 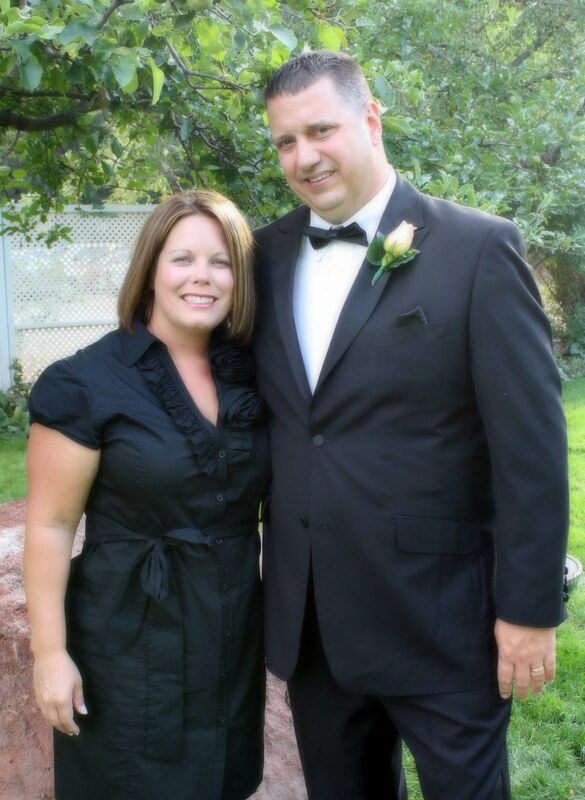 Love the pic of you and the hubs, great looking couple! :) Hope you will post some more soon. That's a great picture of you and your husband! I love Colorado - it's so beautiful there! Looks like you had a great time! Can't wait to see what you start working on next!